Published: Dec. 16, 2018 at 07:27 p.m. 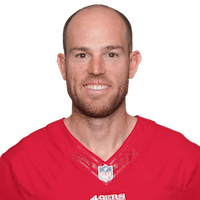 Published: Aug. 18, 2018 at 11:14 p.m.
San Francisco 49ers kicker Robbie Gould makes a 41-yard field goal to give the San Francisco 49ers a late lead. Published: Dec. 17, 2017 at 08:18 p.m.
San Francisco 49ers kicker Robbie Gould wins game with 45-yard field goal. Published: Dec. 17, 2017 at 07:20 p.m.
San Francisco 49ers kicker Robbie Gould hits 38-yard FG to give 49ers lead with 3:08 left to play.